As the SOIL team braced for Irma to make its way through the Caribbean this week and potentially through the communities in Northern Haiti where we have worked since 2006, we hoped for the best and prepared for the worst. We gathered materials, readied our vehicles, and hit the streets throughout frontline communities to urge those who were able to evacuate to do so. During our EkoLakay collections, we talked with hard to reach communities about the risks of flooding and importance of safety planning. 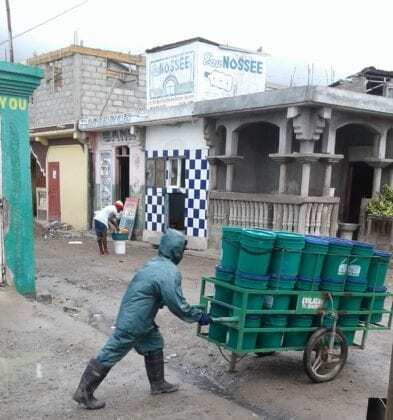 For the 48 hours prior to Irma’s arrival north of Haiti, we worked around the clock to ensure that our EkoLakay household toilet operations would continue as planned and that we had contingency plans in place to respond to a disaster as needed. 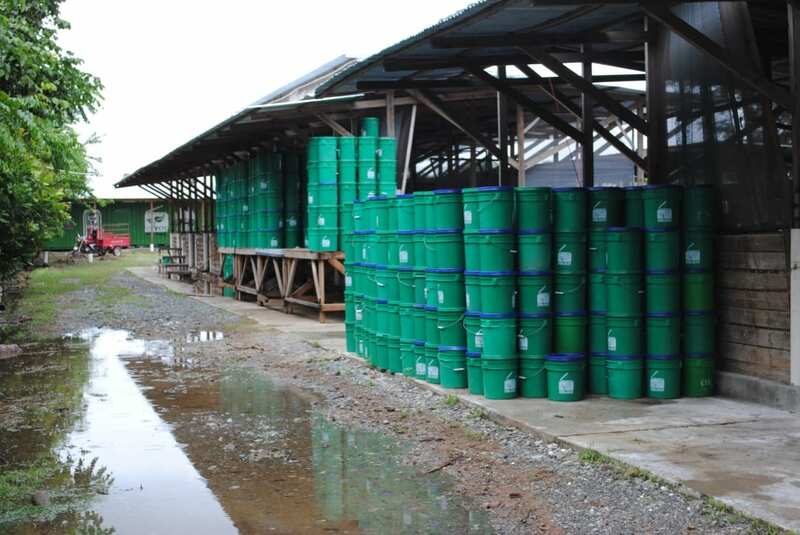 SOIL staff were able to collect each and every EkoLakay container and transport them all to our composting site in Northern Haiti before nightfall when Irma was expected to hit. Though flooding is still possible in many of the low-lying communities due to ongoing rainfall, the destruction along Haiti’s Northern coast is less severe than we feared. Romel Toussaint, SOIL’s Regional Director for Northern Haiti, has spent this morning driving through coastal communities around Cap-Haitien and shared positive and hopeful updates from his visit. We are grateful that Haiti has, for the most part, been spared from the damage and destruction we’ve seen throughout the Caribbean. And we are keeping those in communities impacted by Hurricanes Irma and Harvey in our thoughts and prayers. In addition to collecting containers from households, we SOIL also sent out a text blast to our customers advising them to cap up their toilets in the event that flooding did occur. EkoLakay toilets have been intentionally designed and refined to be flood and natural disaster resilient and we’re proud to report that to date there hasn’t been a single instance of leakage or contamination during a natural disaster, as is sadly so often the case with traditional sanitation technologies. In addition to supporting agricultural efforts across Haiti, Konpòs Lakay, the compost SOIL produces through our ecological sanitation process, helps to prevent soil erosion, which aids reforestation and mitigates future impacts of climate disasters. As the 2017 hurricane season is already breaking records, and as three hurricanes move through the Atlantic this week alone, the importance of meaningfully tackling climate change and supporting the resiliency of climate vulnerable nations like Haiti is clearer than ever before. To those of you that have been keeping Haiti and the SOIL team in your hearts or that have reached out to share your support, thank you. No Replies to "Hurricane Irma has Passed Haiti: Updates from the SOIL Crew"